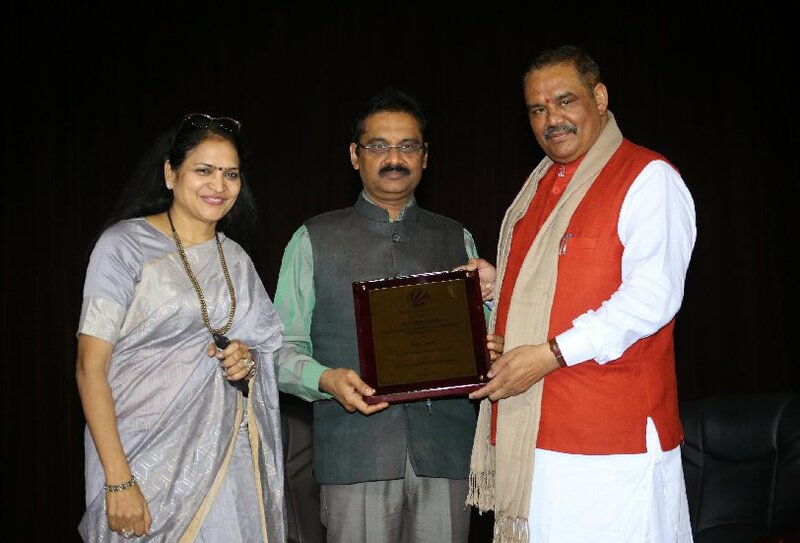 Minister of State for Social Justice & Empowerment, Government of India, Mr Vijay Sampla visited Lovely Professional University (LPU) on 30th August 2018, where he had an ‘Open-Dialogue’ with LPU students. The occasion was the first episode of a series of LPU students’ face to face conversation with eminent national & international personalities on youth-related issues and solutions thereof. 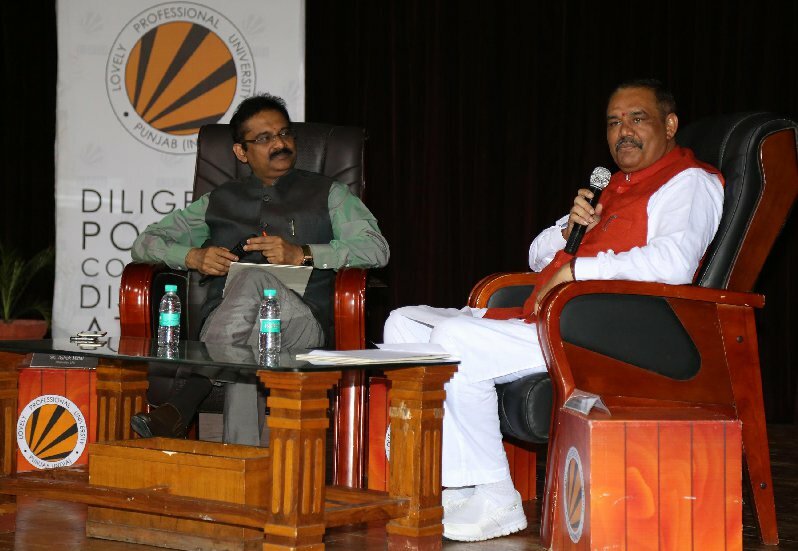 LPU Chancellor Mr Ashok Mittal mediated the talk-show, where Mr Minister Sampla answered to volley of questions made by LPU students. Students asked him questions about his personal life, higher education, politics, reservation, voting, education loan, sports, corruption, volunteering and more. Talking with the students, Mr Sampla, who is an MP from a nearby Hoshiarpur Constituency also advised them to shun ego, imbibe national spirit, utilize voting right to make themselves and the country more strong & progressive. While welcoming Minister to the show, LPU Chancellor, Mr Mittal apprised students about great achievements made by Mr Sampla in his illustrious political career, where he always upheld social and human values. 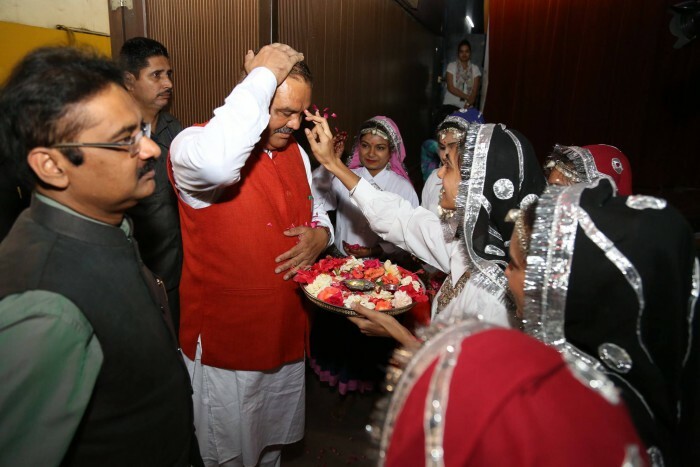 Explaining his life from a plumber to one of the top politicians of the country, Mr Sampla informed that he always remains eager to converse with young students to know what they think about politics and politicians of the country. He preferred to talk with students who had just become first-time voters in this year 2018. Answering the first question about how to become a great person like him, he advised the students to aim at what they want to be, build stamina for the same, shun their ego and move ahead. To many other questions, Mr Sampla advised students to imbibe national spirit, work in groups and be proud of being a true Indian. Talking about volunteering involvement, he guided them to go on working for ‘Swachh Bharat Abhiyaan’, where cleanliness not only means sweeping of dirt but the eradication of all other ills, including female foeticide and more, from the society. Answering about reservation, he said that it is in consideration to see equality between persons from all sections of the society. He also informed students that the education in India is far superior to other countries, and with positive doings of HRD Ministry Indian students are now preferring to stay and get educated in the country only. He also applauded sportsmen-women of the country and informed about various sports-related schemes of the country including ‘Khelo India’ and more. He awakened students that to have good governance in the country, they should utilize their voting rights for the right candidates and make the country devoid of all ills.